ALEXANDRIA, Va., (Sept. 15, 2016)—Yesterday, the U.S. House of Representatives Committee on Education and the Workforce passed the Supporting Youth Opportunity and Preventing Delinquency Act, which would reauthorize the Juvenile Justice and Delinquency Prevention Act (JJDPA) and strengthen the nation’s juvenile justice system. The JJDPA was originally signed into law in 1974 and has been due for reauthorization since 2007. National PTA® comprises millions of families, students, teachers, administrators, and business and community leaders devoted to the educational success of children and the promotion of family engagement in schools. PTA is a registered 501(c)(3) nonprofit association that prides itself on being a powerful voice for all children, a relevant resource for families and communities, and a strong advocate for public education. Membership in PTA is open to anyone who wants to be involved and make a difference for the education, health and welfare of children and youth. the new FAFSA submission date of October 1st? The single most important thing your students can do to get financial aid for college is to fill out and submit the Free Application for Federal Student Aid (FAFSA). Aid is awarded on a first-come, first-served basis, so it’s important students stay up-to-date on all things FAFSA, including key changes like this one, for academic year 2017-18. 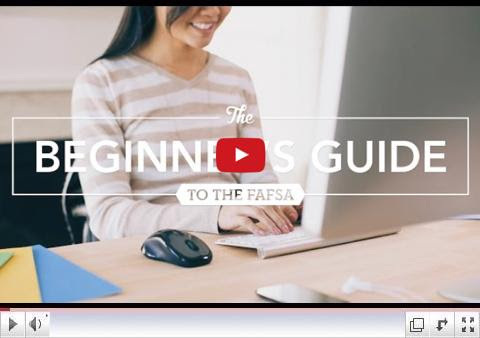 Start by sharing the Sallie Mae® Beginner’s Guide to FAFSA video with your students and their families, and visiting PlanforCollege.com/FAFSA. As an educational company providing free programs and resources to schools and families, By Kids For Kids, Co. (BKFK) is proud to work with Sallie Mae®, the nation’s saving, planning, and paying for college company, to offer free, easy-to-use college planning resources like these to students and their families. *No purchase necessary. Void where prohibited. See official rules at SallieMae.com/SweepstakesRules. This email contains an advertisement/solicitation from By Kids For Kids, Co.